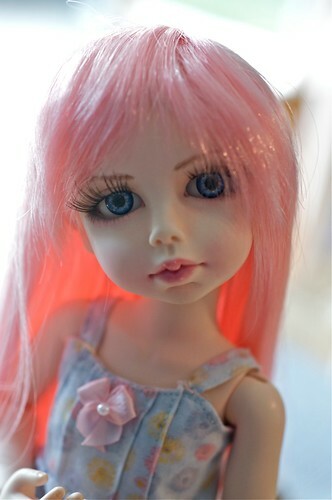 Redressed in a top by me, her original skirt, and a DollZone wig, Anya is ready for Valentine's! She is adorable. I love the dress/top you have made. Anya is such an expressive doll. I love a great mouth on a doll and I really love her mouth! Thanks, Tami--Anya is really fun. And I think she has a really nice, pouty mouth, too. Were you able to see those photos?